It’s a very common question and a what a lot of people resort to if their laptop / desktop computer starts to develop a lot of problems. People think that by doing a factory reset their computer will start to behave properly again. Well it will, but the data on it will no longer be there. Unless the data on the external hard drive was perhaps encrypted and sync’ed to the laptop with an automatic decryption key ? Or something along those lines. 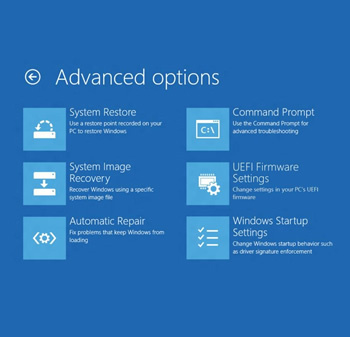 This is an example of when a factory reset on a computer, be it a laptop or desktop should make absolutely no difference to accessing the data on an external hard drive, but obviously something has gone on that is preventing access to the data on the hard drive. So what’s the best thing to do? The first rule is not to do anything to the external hard drive – no chkdsk, no scandisk, no re-formatting etc. The problem is probably a rather simple one to find, it’s just finding it that’s the difficultly. So my advice, if you wish to recover the files is not to be hasty. Instead think, and apply some thought to the problem, or contact a decent data recovery company who should be able to work out what the problem is a restore your files for you.